Each company of the AGC Group (collectively, "AGC") recognizes the essential importance of the proper and adequate protection of the information of individuals, such as names, addresses, telephone numbers etc., which may be available to distinguish the identities of our customers, business partners, employees and all other parties concerned with our business operations (hereinafter collectively reffered to as “Personal Information”). 1. AGC will collect, use, and provide Personal Information through the fair and legal means. At the time of collecting any Personal Information, AGC will specify the purpose and scope of its use. AGC will use such collected Personal Information strictly within its originally intended scope of use and limited usage as necessary for business operations. In case of necessity in which said Personal Information must be used beyond the above-mentioned scope, AGC shall obtain an authorization from the individual to whom such Personal Information relates (hereinafter “Individual”) with regard to the planned use, except as allowed by relevant laws and regulations. When handling such Personal Information, AGC will strive to develop an organizational structure that has policies and procedures in place to strictly manage the Personal Information to prevent its illegal access, loss, falsification or leakage. To ensure the appropriate handling of personal information, AGC will continue to strengthen and improve internal systems, implement the necessary secure management measures in accordance with technological standards, and perform appropriate internal audits, etc. Unless authorized by the Individual or allowed by relevant laws and regulations, AGC will not provide Personal Information to any third party. In addition, when providing such Personal Information to any third party as authorized or allowed above, AGC will conclude a contract with the third party or take any other measures that obligates the third party to be responsible for the management of the Personal Information to be provided, thereby preventing its leakage to any other party or other misuse. 2. AGC will promptly respond to requests from the Individual to disclose, correct, add and/or delete his or her Personal Information, to the extent required by relevant laws and regulations. 3. AGC will comply with relevant laws and regulations with regard to the protection of Personal Information, and also constantly review its implementation of the Policy, and strive to make further improvements. 4. AGC will completely inform of this Policy to all of its directors, offices and employees (including commissioned and dispatched personnel) as well as other concerned parties, to ensure that each of them understands the importance of the Policy and conduct him or herself in an appropriate manner to follow the Policy. 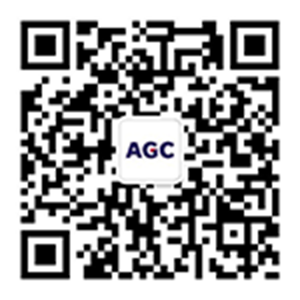 AGC shall use any Personal Information only for the purposes of providing or improving the products, services and relevant information of AGC and/or its affiliated companies (hereinafter "Group"), and to respond to inquiries made by the Owner of Personal Information. (If the purpose of use of Personal Information is shown by each service category, AGC uses such Personal Information in accordance with the above purpose.) If AGC wishes to use Personal Information for any other purpose than those defined above, AGC shall disclose the purpose of use when collecting such Personal Information. You have data protection rights in accordance with the laws and regulations related to personal information of each country. Following is the outline of request procedures on Personal Information that AGC has collected. With regard to the specific procedures, please contact the service division to which you have provided your Personal Information. Please contact us from this page if you have not been informed which division should be approached for your inquiry. If you wish to request the disclosure, correction and/or deletion of your Personal Information, please contact the service division to which you have provided the Personal Information. AGC will send you the request form. Please fill in the form and return it to us by postal mail. In order to prevent potential leakage of the Personal Information, only requests made by the Owner of Personal Information will be accepted, except in case of the request being made by his or her legal representative. In order to confirm that the individual submitting the request is in fact the Owner of Personal Information, please submit to us a copy of your driver's license or official residence certificate, along with the request form. After receiving your request, AGC will confirm the content of the request, and thereafter will send a response to it directly to you, the Owner, by postal mail. Please understand that in case AGC is unable to confirm the identity of the individual submitting the request, we may decline to answer the request. In addition, we ask for your understanding that while AGC will make efforts to respond to requests promptly, it is however possible that such response may take some time to ensure its accuracy. For other inquiries regarding your Personal Information, please contact the service division to which you have provided your Personal Information. Cookie: technology that allows a website to track subsequent requests from a given computer to it. On the website, the Company records, in the form of an Access Log, basic information on computers that access the website. The information recorded in the Access Log does not contain any information which can identify a specific individual. The Company collects the information to conduct statistical analysis of your use of its website, provide you with information, and deliver an improved website experience to you. In some cases, the website may include links to websites other than that of the Company or the Group. The Company takes no responsibility with regard to the protection of Personal Information or the contents on any website linked to the Company's website other than its own website or those of Group.